I'm so excited to finally launch the feature that has been bouncing around my head for a good long while. I truly believe that this book should be read and talked about by everyone, and I'm happy to get to spend a month telling you why. So, how is this month going to work? ALL THE RAGE APRIL will feature a bunch of different guest posts (thank you in advance all you lovely peeps!) some spoiler-filled discussion post of All the Rage (all spoilers will be marked, I promise) a couple of reviews and maybe (possibly) a Q&A! And, I hope, lots of interesting comments by you lovely readers! 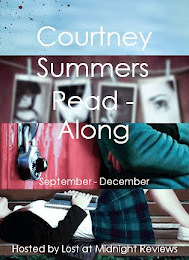 I also want to take this time to highlight the campaign Courtney has put together for the launch day of All the Rage. It is called #ToTheGirls and it's all about telling girls out there that they matter. You can tweet about girls that have inspired you or talk about why it's so important to hear girls stories or, really, whatever you want! I will be spending a lot of my time April 14th on Twitter talking about this important campaign, and I hope you will too. Read more about the campaign here and join the Thunderclap! - Must be 13 years or older (if under 18 must have parental consent). The giveaway will last from NOW until April 6th at 11:59pm! Don't forget! If you pre-order All the Rage (or win this pre-order!) 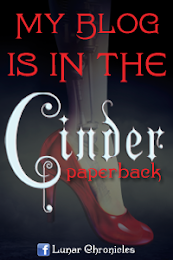 you can sign-up to get one of Courtney Summers' backlist titles FOR FREE. If you miss any of the posts this month, I'm going to be using this page as a master list with links to all the different things going on. Day Two: Why Do People Want to Read All the Rage? Day Four: Why Do Readers LOVE All the Rage? Thanks for stopping by, all! Up tomorrow, why readers want to pick up All the Rage! This book? Free giveaway? I. AM. READY. I'm so so so looking forward to this. I've heard it's amazing. I've heard really good reviews for this book and I've read some of her others. thanks for the giveaway! I've been hearing about it for a while and I love the blurb. When I saw that the first five chapters were on Wattpad, I immediately read them and I need (read: NEED!!!) to read all of it now.